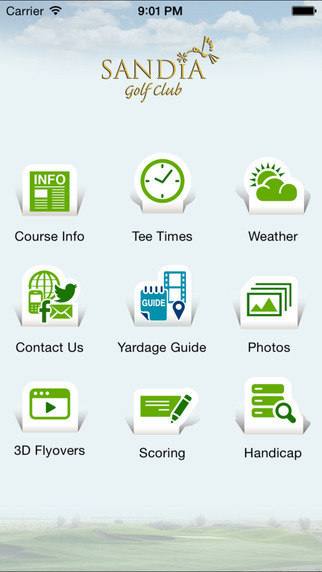 The Sandia Golf Club App includes a GPS enabled yardage guide, 3D flyovers, live scoring and much more! Stretching from 5,112 yards to 7,755 yards from the back tees, the Sandia Golf Club will challenge and delight golfers with a memorable layout routed through the rugged high desert landscape featuring strategically placed bunkers, challenging green complexes and panoramic views of the Sandia Mountains and greater Albuquerque area. The golf course was designed by Scott Miller Design, Scottsdale, Arizona. 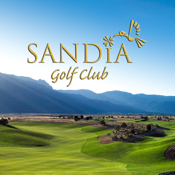 The Club features a 16,000 square foot "Pueblo style" clubhouse complete with a fully-stocked golf shop, full service 42 seat restaurant and a 3,000 square foot outdoor covered patio overlooking the golf course and the Sandia mountain. The Event Center at Sandia Golf Club opened April, 2015 and this 12,000 square foot state of the art facility is ideal for hosting tournament banquets, wedding, corporates functions and meeting, and much more.